Catherine Zeta- Jones Crushes Michael Douglas! Is the actress walking out on her husband of 18 years? Jennifer Garner: Buying Her Own Engagement Ring! Desperate to move on from Ben Affleck, Jen is kicking her new romance into high gear — and rushing her beau down the aisle! 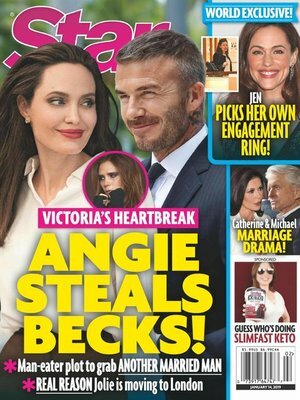 Angelina Jolie’s New Target: David Beckham! The actress is plotting to poach Becks from Posh!